“Rock’n‘rollcomes to life at our shows. We will definitely entertain you,” comments OAK STREET BLUES’ frontmanChrisHall. When it comes to the band’s albums, they take a more electronic approach with their music. With an electronic twist, a typical theme for an OAK STREET BLUES’ album is longing for someone and trying to get that someone; which is why their newest album is entitledWAITING FOR SOMETHING. The lead track on the album, “Stars”, captures the realities of dreaming of how wonderful someone is but not being able to be with that someone. “Musically, it’s one of the better Oak Street songs with a more complex chord structure and dreamy synth. When played live, it is more acoustic but still dreamy,” states Hall. Though most of the 10-tracks featured onWAITING FOR SOMETHINGare penned as love songs for someone else, the band also included a unique track the “Robot Song,” which falls under the category of a love song about something that fascinate them. The track shows the fun side of the band that fans can see at their live shows and their love for robots, particularly 1960’s robots like in The Jetsons. 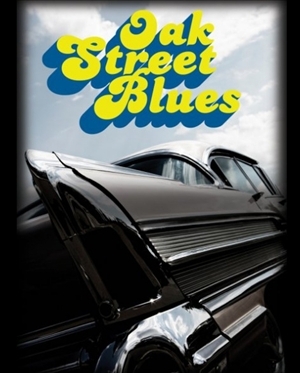 OAK STREET BLUES’ founderChris Hall enlisted the talent of his two Los Angeles-based friends to complete the band:Jenny Ariason bass and ukulele andDesiree “Crazy Legs” Gonzalezon keyboards. Arias, also a member of the all-girl ukulele group Beach Babes, brought her passion for oldies and psychedelic rock to the band; in addition to Gonzalez, a University of California, Santa Barbara alum, who contributed her flare for pop music.